For reasons that remain a mystery to all but Larry Harvey and his inner circle (Harvey is one of the founders and the current leader of Burning Man), Cargo Cult is this year’s Festival theme. The Vanuatu traditions around John Frum are as colorful and, in many ways, as whimsical as Burning Man itself. The natives dress up as American military men (think of the Seabees from South Pacific), raise their best version of a U.S. flag, and don gear such as wooden air traffic controller headphones to make themselves look like the proper recipients of new cargo. Hence, Burning Man’s costumes and art cars, parades of various sorts, rituals and spirituality fit well within the context of Vanuatu’s Cargo Cult. Like World War II Vanuatu, we even have an airstrip and paratroopers overhead. And, of course, we all bring tons of “cargo” with us to Black Rock City – including our food and water. So what does all this have to do with the way we will celebrate Burning Man in the Black Rock Desert in 2013? Essentially, very little. The announcement of the annual theme for Burning Man, while awaited with great anticipation each year, has only a minimal effect on the event itself. Certainly there will be art projects around the theme as well as costuming and possibly even a special event or two (I can imagine groups worshiping at a fake Vanuatu volcano – known as Yasur, or God). 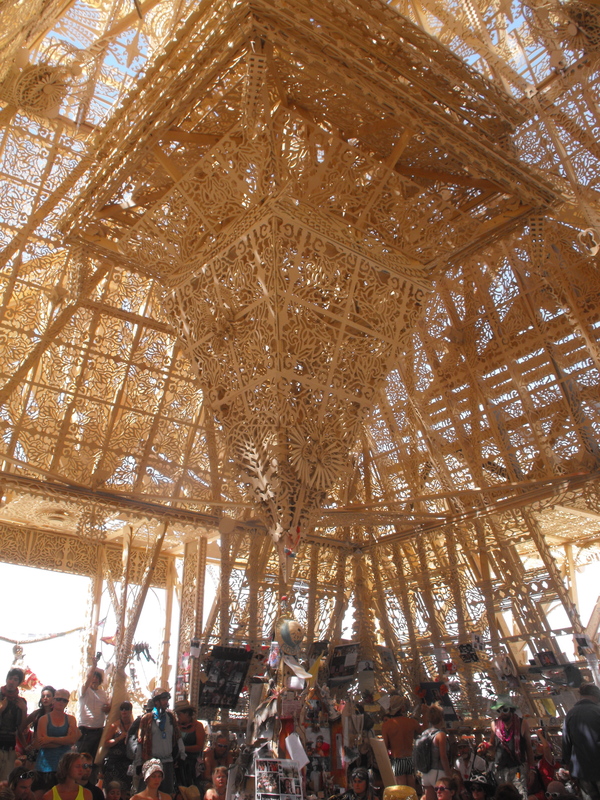 But overall, Burning Man will be about the same as always as opposed to a distinctively John Frumian-tinged event. So what’s the purpose of the theme? I’ve never been really sure about the answer, but I know how my wife and I treat it. For us, the theme is a unifying direction for our gifts and costumes, and for the flag we make to hang from our RV. Others may take it as a mindset orientation for the entire week. The point is, everything about Burning Man is highly individualistic; so whether you do something involving the theme or pay no attention to it really doesn’t matter all that much. But if you happen to find ways to enjoy the theme and celebrate it with the typical whimsy that marks so much of Burning Man, then you’ll become part of the celebration of the Cargo Cult that is honored every February 15th by the islanders of Vanuatu. Here’s to John Frum, his eventual return to the South Pacific, and bounty for Vanuatu and its people.